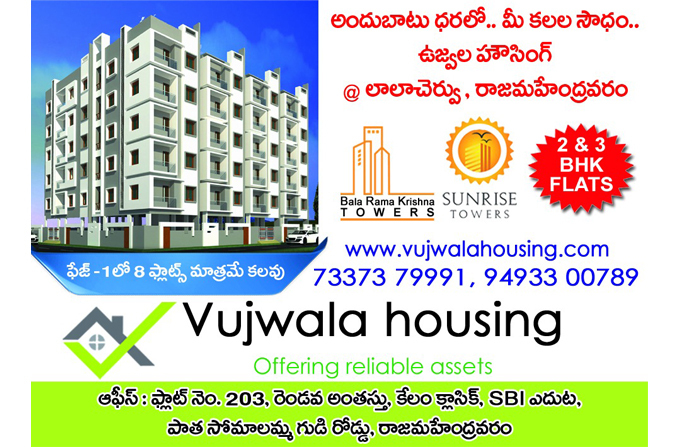 The Great infrastructure has been complemented by affordable homes at Sunrise towers, Rajamahendravaram. Living will acquire an all-new meaning here, a residential project that is going to be an apt manifestation for your dream adobes. This high-rise apartment come along with ingenious living style and fashionable living preferences. These are for those individuals who had achieved triumph in life and deserve to reside a home that is nothing less than masterpiece. The Great infrastructure has been complemented by affordable homes at Sunrise towers, Rajamahendravaram. Living will acquire an all-new meaning here,a resdential project that is going to be an apt manifestation for your dream adobes.This high-rise apartment come along with ingenious living style and fashionable living prefrences.These are for those individuals who had achieved triumph in life and deserve to reside a home that is nothing less than masterpiece.